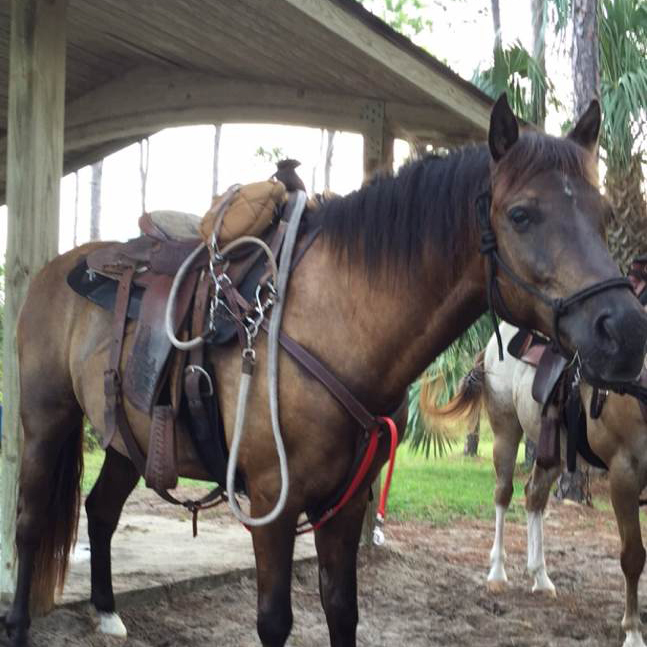 Ponyboy is a 15 year old bay gelding. He came to us from a friend with two horses that had been neglected by their previous owner. He quickly settled in to beach work in 2015 and is known as one of our two resident “hard heads”. Ponyboy’s nickname came about while he was staying in the field with Dallas – Dallie man. We love the S.E. Hinton book, The Outsiders, and Hayley decided that should be his new name. He always thinks he has a “better idea” and loves to flirt with the grouchy girls, Shellie and Bailey. Shellie secretly has a crush on him as she loves bay geldings, but continues to play hard to get. He is sweet, curious and loves his job. He wants to be the boss and I am sure that when Bitty retires, Ponyboy will be waiting in the wings.